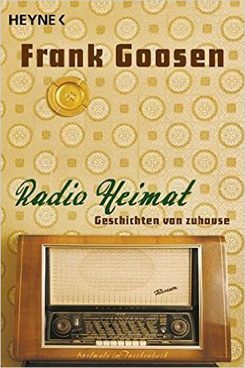 Radio Heimat Ⓒ Heine Goosen’s celebrated works, while rooted in his home region – the (post-)industrial Ruhrgebiet of West Germany – and its cheeky, working-class humour, have a loyal fan base from Berlin to Bavaria, who attend his numerous readings and cabaret performances. Accompanying the series GOETHE FILMS “Heimat NOW,” German author Frank Goosen will read some passages from his bestsellers in German, Toronto actor Tony Nappo will read in English. Frank Goosen "A40 - Geschichten von hier"
Frank Goosen was born in 1966. He studied History, German and Politics at the Ruhr University Bochum. His writing career began with the publication of the novel “Liegen Lernen” (2001), which was turned into a successful film by Hendrik Handloegten. Goosen published the short story collection "Radio Heimat – Geschichten von zuhause" (2010), followed by “Sommerfest” (2012), about to be put on screen by Sönke Wortmann (THE MIRACLE OF BERN), and the novels “Raketenmänner” (2014), and “Förster, mein Förster” (2016). He lives in Bochum, where he is working on several new book and film projects. Tony Nappo is a graduate of the American Academy of Arts in New York City. He has appeared in over a hundred film and television projects and been nominated for a Canadian Screen Award, an Actra Award, a Broadway World Award and two Doras. He will be on stage in the Mirvish production of "Butcher" at the Panasonic Theatre in March 2017.